Bulgarian Justice Minister Ekaterina Zaharieva on Friday granted citizenship to Ted Kotcheff, a US director born to Bulgarian parents. Kotcheff submitted an application in February, prior to his arrival to Bulgaria for this years’ edition of the Sofia International Film Festival. 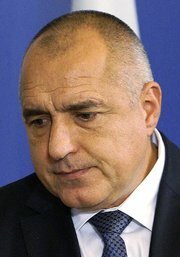 On Monday he is to receive a birth certificate and Bulgarian identity documents. Kotcheff thanked authorities for the cooperation. Dnevnik quotes the Justice Ministry as saying he was “a Bulgarian citizen at birth”. Israel is still remembering the crucial role of the Bulgarian Orthodox Church in the rescue of Bulgarian Jews, Israeli Ambassador to Bulgaria H.E Shaul Khamis Raz stated during his visit to the Synod Palace. He was welcomed by the Patriarchal Vicar Bishop Tikhon Tiveriopulski. The occasion was officially mark the upcoming 25th anniversary of the diplomatic relations between Bulgaria and Israel. At the end of the meeting Bishop Tikhon showed his guests the boardroom of the Synod Palace. Bulgaria’s Black Sea gem Sozopol made it into the top three of the most desirable places for tourism in the world. The winner of Standart’s Wonders of Bulgaria 2011 was nominated by the World Council for Tourism and travel as the best destination of 2015. The city, guarding the relics of St. John the Baptist, competed for first place with Slovenian capital Ljubljana and the coast of Taiwan. The winner will be made clear on April 15 in Madrid, it was announced yesterday by the Sozopol Foundation. Sozopol has already defeated 158 candidates from around the world in the tourism contest. SOFIA, Bulgaria — Secretary of State John Kerry said Thursday that the United States would help Bulgaria reduce its dependence on Russia for energy supplies. Bulgaria, a member of NATO, relies on Russia for 85 percent of the gas it uses and for 100 percent of its nuclear fuel, according to American officials. “No country in the world should be totally dependent for its energy supply on one other country,” Mr. Kerry, who is making his first trip here as secretary of state, said in a joint news conference with Boiko Borisov, Bulgaria’s prime minister. While in Sofia, the Bulgarian capital, Mr. Kerry met with Mr. Borisov and with the country’s president and foreign minister. He left midafternoon to fly to Paris, where he will meet Friday morning with President François Hollande and Foreign Minister Laurent Fabius — an addition to his schedule in response to complaints about the United States’ decision not to send a senior official to Sunday’s memorial rally and march after last week’s deadly terrorist attacks. “My visit to France is basically to share a big hug with Paris, and express the affection of the American people for France and for our friends there who have been through a terrible time,” Mr. Kerry said. 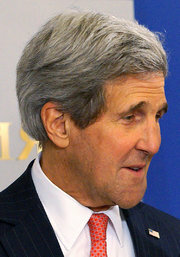 On Friday, Mr. Kerry will also speak along with the mayor of Paris at the Hôtel de Ville, Paris’s city hall. They will be joined by the singer James Taylor, who was born in Boston and whom Mr. Kerry knows from his years as a senator from Massachusetts. Mr. Taylor will perform, according to a State Department official traveling with Mr. Kerry. But the official declined to say which song, or songs, Mr. Taylor would sing. In Sofia, however, the focus was on helping Bulgaria move out of Russia’s economic shadow. Beyond Bulgaria’s energy dependence, Russia’s state-owned banks and politicians have helped the Kremlin exert influence on Bulgarian politics, including energy-related decisions. “There is evidence of some Russian engagement through financial support and other things in the politics of Bulgaria,” Mr. Kerry said. One major challenge is to develop an alternative to the South Stream pipeline project, which would have funneled gas to Bulgaria through a pipeline under the Black Sea but was canceled by Russia as tensions between the Kremlin and the West grew over the crisis in Ukraine. “We’re also talking to them about diversifying their nuclear energy options and other options,” the official said, alluding to a possible project in which Westinghouse Electric Company would build a nuclear power plant. Mr. Kerry said that the United States would send an energy envoy to Bulgaria and that the Export-Import Bank of the United States would be involved. But he cautioned that any effort to attract investment to Bulgaria and to protect it from Russian meddling would also depend on the country’s ability to fight corruption. During the news conference, Mr. Kerry said that in his recent conversations with the Iranian foreign minister, Mohammad Javad Zarif, he had continued to raise the plight of American citizens who have been imprisoned by Iran. But Mr. Kerry did not say whether the United States would be willing to negotiate an agreement to constrain Iran’s nuclear program and lift economic sanctions against Tehran if the Americans remained imprisoned. When the subject shifted to Boko Haram’s recent attacks in Nigeria, Mr. Kerry called them “a crime against humanity” and said he was working with his British counterpart, Philip Hammond, on a “special initiative” to respond to the violence. He gave no details, and it was not clear whether he had a diplomatic step, like an international conference, or something more ambitious in mind. A diver in Bulgaria discovered what is thought to be the world’s oldest gold coin — and the find was apparently accidental. The scuba diver saw the coin near Sozopol on Bulgaria’s Black Sea coast, Bulgaria’s BTA news agency reported, and gave it to Bozhidar Dimitrov, the head of the National History Museum in Sofia. The museum found that the coin appears to have been minted in western Anatolia in the second half of the seventh century B.C.E., making it more than 2,750 years old. The coin is thought to be from Lydia, a land in Anatolia that’s believed to be the originator of gold and silver coins. Vladimir Penchev, a numismatist at the National History Museum, told BTA that the coin is made of electrum, an alloy of gold and silver used in early coins. He noted that the coin is “the first of its kind” to be found in Bulgaria, The Sofia Globe reports. Bulgaria is the second country among members of the European Union (EU) in growth in overnight stays during the winter season 2013/2014, the data of the European statistical office Eurostat. It is reported increase in the number of overnight stays by 14.6 percent for the season to a total of just over 3.8 million., Compared with 3.3 million. During the previous season. 40% of nights are foreigners, their share has grown by only 0.5 etc.. Percentage points from the previous season. Before Bulgaria’s only Greece – in our southern neighbor reported an increase of 17.3%, as did most marked decrease in overnight stays in Cyprus – 11.6%. Overall in the EU this year were made by about 3% compared to the previous nights season, the most popular destinations are Spain, Italy and Austria, where they spent more than half of all nights in the EU during the winter season. In the category “Employment of hotels,” however, our country occupies the last place in the ranking, despite the significant growth of the nights last season. Occupancy rates during the season was 23.4% in the EU average 34.4%. Occupancy in Bulgarian hotels averaged 24.8%. 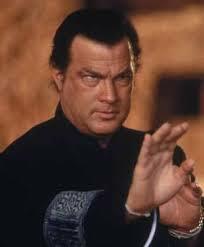 Steven Seagal starts business in Bulgaria. June 15 2014 Recent inquiries shows that more tourists from Hungary, Poland, Czech Republic had booked accommodation facilities in Sunny Beach in recent days as well as Arabs. Expectations are Hungarians, Poles and Czechs to compensate for the decrease in bookings from Ukraine, according to Darik Radio. So far though, no cases of early bookings cancellations neither from Russia or Ukraine – announced President of the Union of Owners in Sunny Beach Elena Ivanova. In the last month inquires to tourist market indicated a slight decline in tourists from England, Germany and Scandinavia. This year they have shifted to Greece. Beds in the resort are currently nearly fully booked at 90% complete. After a few days will be revealed consulate of Bulgaria in Yekaterinburg. From this Russian region is expected to arrive in Bulgaria about 70 000 tourists. Interest to Sunny Beach has the Arab world. For the first time in many years, Arab tourists will spend their summer holidays in Bourgas region. Through the President of the Bulgarian-Arab Business Association Ziyad El Masri Bulgarian hoteliers and tour operators have established contact with partners from Kuwait and Qatar. There is an agreement in place that each week two charter flights will bring Arab tourists in Sunny Beach. The first aircraft will arrive from Kuwait on July 28. Mr Masri attraction of wealthy tourists to Sunny Beach is very large success. June 2.2014 The holiday season not only will not be ruined , but will exceed last year’s results , told reporters today Branimir Botev , Deputy Minister of Economy and Energy , said on Monday. In the first four months of the year Bulgaria was visited by 1,132,733 foreign nationals for vacations with an increase of 4.1 percent . Tourism revenue for the first three months were € 325.3 million by 3 percent over the previous year . ” Bulgaria reserves growth in almost all key markets and supports a huge diversity of markets. Bulgaria has been presented in many markets , despite limited resources and that means job well done. Important is that the ratio price – quality in tourism services is competitive for Bulgaria , “he added . It was provided detailed information by countries that have growth of tourists- from Israel with 80% or more than 21 thousand people in China – 37% or 2155 people , the Republic of Korea – 32% USA – 21% or more than 13 000 people , Japan – 18% etc. . There is a positive trend , summarized Botev. In the consulate of Bulgaria in Moscow was already issued 100000 visa this year. It comes about a week earlier than last year. Got it two years old Oksana Shishkin . Shishkin’s has come several times to Bulgaria . The state will provide them with a one-week free vacation package in hotel in “Sunny Beach” where they normally going on vacation. May 25 2014 There are 22 mineral springs , called it the spa capital of the Balkans Holiday in the resort of Hissar(Hisarya) thermal springs can be in all seasons of the year. The distance here is taken quickly and easily from anywhere in the country. The resort with 22 mineral springs are located 40 km from Plovdiv, 250 of Burgas and only two hours drive from Sofia. They are suitable as Balkan road and highway ” Trakia” from which there is an intersection of Hissar. Roads leading to the town are no turns and unloaded . There is a railway from Plovdiv and Karlovo and regular intercity bus and Krumovo airport is an hour away. The place is a combination of beautiful scenery with good climate , mineral water and a lot of archeology. Hisar is more than 1300 and is older than the Bulgarian state. The first settlers were the Thracians . Spas led the Roman Emperor Diocletian to establish there area. Is called his name – Diocletianopolis . In ancient times, Hisar, which in Arabic means fort is also known as Augusta . Roman names are associated with the founding of the city , which many legends are told . One of the most beautiful is associated with the first coming of the Emperor Diocletian and his wife. legend Emperor Diocletian had a beautiful wife who worshiped . Augustata however, was struck down by a severe and unknown disease. Nothing was able to return to her health then Diocletian heard of hot water, which flowed from the mountains in the land of the Thracians. Together with his wife arrived here and immediately pitched imperial tent . The beauty of nature , mineral water, which she drank the emperor every day, and the songs of nightingales quickly brought her back to life and beauty blossomed again . Gratitude Emperor Diocletian built a city here regularly began to go all the Roman aristocracy , known for his pilgrimage to the water and related rituals and pleasures. Bulgarian Pamukkale 22 mineral springs in the region. Nowhere in Europe are there so many hot springs, which are so close to each other . Real natural phenomenon for which Hissar is also known as Bulgarian Pamukkale . Water is one of the most delicious mineral . The sources are divided into eastern and southern group and as applied . Every resident of the city , however, will tell you that you will not go wrong , and where to drink water because it will not harm you , but rather will infuse new energy and life into your body. Today in the town of the most popular are the issues ” Lily of the Valley ” and “Lily Bath” to which there are fountains and people are free to draw water from them. From across the country come fans of mineral water to draw bottles home. It is known that the hot water from Hisar treated mainly gastrointestinal, ulcerative diseases , diseases of the musculoskeletal system , and some skin problems. It is said that one of the bathrooms in the city its water was most favorable to the beauty of women. This is the source ” Toplitsa ” which gushes 52 degrees Celsius water. When women bathed their bodies with it , they become ethereal attractive tell hisarchani . Known admirer of female beauty Ivan Vazov who often comes to bathrooms in Hisar, even joking when he watched the vain ladies lining up for ” Toplitsa .” Poet commented that women most easily tolerated the heat of the hot spring because preparing for the hellish torment that lay ahead in the next world . And today there functioning bathrooms at the resort who are very famous . One is the municipal “Lily bath ” in which one of the walls is preserved inscription of Emperor Maximillian Gallery, connected with the construction of the first bath this spring. The other bathroom at the resort is “Mermaid “, which is near downtown. These are typical hammam pools and troughs from which people draw water and watered . There baths, but they are soaking in them are carried hydro procedures . Spa , wellness and spa Balneology is concentrated in a healing programs “Gergana” hotel , and in the base of the Military Academy ” Kaleroya ” and the local hospital for treatment and rehabilitation. They all work with clinical paths and directions of the NHIF and the Institute. Are available with advance reservations for patients from all over Bulgaria , which may remain here for five days to two weeks. In every one of the four stars to the smallest family hotels water that flows into pools and fountains and shower room , a mineral . Most hotels are equipped with spa and relaxation center . The most luxurious and most complex area ” Hisar” . The hotel is known as the former station of the Central Committee of the Communist Party , which Tatovo time was not available to mere mortals . Only in the early 90s complex opened its doors to the people. Its total area is about 45 acres , making it one of the largest recreation center in the country. Pride of the complex and huge spa , which employs only graduates – therapists and doctors. Next to it is an indoor swimming pool with six corridors and a length of 25 meters . Wellness center of the hotel does is first of its kind in the town . For guests is free . Next to Hotel ” Hissar” is located hotel ” Augusta” . He has three stars and is open year round . Recreational Sports Center offers its more than 100 types of procedures. ” Sana Spa Hotel ” offers a unique spa and wellness center with an area of 2,000 square meters with its own mineral source and a variety of relaxing and therapeutic treatments. It is situated near the Roman wall and city park. Hotel ” Gallery ” is located in the quiet greenery of the park , 100 m from the spring ” Momina Banya ” which draws its healing mineral water. ” SPA Hotel Chinar” is a new boutique hotel . All bathrooms have baths and hot mineral water . Hotel ” Spa Club Central” is also one of the newest . The SPA center offers relaxation , combined with the ancient traditions and the latest fashion in the genre. Parks , restaurants , entertainment Great pride is ofBanja parks. The city has three beautiful Garden of Eden , which, because of the favorable climate in the region year-round full of life. Park “Lily Bath” is built around a spring ” Momina banya ” to summer theater is a park of peace and friendship and the central ” Lily of the Valley ” was designed by the famous landscape architect Lucien gardener who was specially invited by the Government of Eastern Rumelia to make a project for Hisar . Since there is growing very rare flora from the tourist center of the city offering guests walking route to get acquainted with the three plant species in the park. Hisar municipality did try every week in the city to have a cultural event – Exhibition , plastics , performance artists , books or artist to enter the individual programs of tourists from the country and around the world. The city already returned guests from Russia. There are groups from Germany, France , Finland , USA, England and Japan. Hisar is preferred by Bulgarian tourists. The restaurant serves traditional and European cuisine for every taste. For tourists who stay for more days , it is recommended to go to the village of Staro Zhelezare , which is only 8 km from the resort. There is a unique House of traditions , beautiful Renaissance house, which is arranged ethnographic exhibition . There is also an entertainment program for those wishing to pochepkat wool to spin , to make the famous starozhelezarska colorful salt and watch meddle asks how to sharpen pie, and then taste the delicacies . Lady of the house are famous throughout Bulgaria grandmothers from Old hardware. Near Hissar is located Thracian cult complex ” Starossel ” and several wineries that welcome all year round lovers of wine tourism . archeology Hissar to say it is the only place in Europe, which offers guests a combination of climate, opportunities for recreation , relax near the mineral water and archeology. Here is the best-preserved Roman wall in the Balkans. There is hardly a person in Bulgaria , which does not recognize one of the emblems of Hissar – Southern main gate ” Camels .” Along with several other sites it enters the winning project for the preservation and exhibition of antiquities in the city. There are roman – object that local archaeologists under the direction of the Director of the Archaeological Museum Hisar – Dr. Mitko Madjarov work 20 years is about the largest thermal resort in the Balkans by the end of the year can now be visited by tourists. Disclosed are spas since Roman times , heating of rooms , baths and part of the water supply and sewerage system , which still function. Baths were built in the IV century, and here came the Roman emperors and patricians with their families to bathe in mineral water and its pleasures . Already working Roman family tomb, which is a rare archaeological site . It is open to visitors from early spring to late autumn , the most interesting things in it are Roman mosaic floor and pictures on the walls, among them roses – a testament to the production of rose oil in these places since ancient times. Celebrations for the 50th anniversary Against the backdrop of ancient history this year Hisar ’50 notes the announcement for the city. Celebration municipality prepare, start at the end of this month and will continue for two weeks. On May 31 evening 17 o’clock opening of the holidays , in the tourist center will be arranged retrospective exhibition . Prepare and show “Sound and Light” and the idea is to make it traditional and performed at the Southern wall and gate respectively ” camels ” . The premiere is on May 29. Invited by its performance was Thracian and Roman cohort of Svishtov . In connection with the celebrations for the third time will be held Folklore Festival ” Living Water ” with participants from all Balkan countries. Traditional Theatre Festival is for amateur theater groups in the country , which will last several days. The program is very rich – there will be workshops in the open race carrying water coppers and rocker , swimming tournament ” The Big Night Bathe .” The holidays will be closed with a big concert of the band ” Diana Express .” Entrance to all events in the festive program is free . On 28 and 29 May Hisar, named SPA capital of the Balkans , is hosting the prestigious forum ” International Congress of Balneology and Spa Tourism” . May,21 2014 10 reasons why you have to visit Varna are arranged in the new municipal tourist site Visit.varna.bg, which is already active , said Dnes + . The site is rather an information portal and is quite curious and avant-garde , given that it is created by an administrative authority. This is proved themselves headings – “Discover Bulgaria “, ” what to see “, ” Where to stay “, ” something to eat “, ” Shopping .” If you think what’s so special in Varna , here are the top 10 reasons to visit the third largest city in Bulgaria . 1. Climate Bulgaria enjoys a mild climate throughout the year. The coldest time of year is usually from December to March, when the average temperature varies between 5 and 10 ° C. The summer begins in early May to early October temperatures range between 25-35 ° C. The most pleasant months to go to the beach and enjoy the sun are July and August. Sea temperature in summer is around 23-27 ° C. 2 . Beaches and mineral waters The area of the city, which includes the resorts of Golden Sands and St. Konstantin and Elena are well known for its magnificent beaches , warm blue sea , the healing mineral springs. The resort “St. St. Constantine and Helena” has seven mineral springs with water temperatures between 40 and 60 ° C, unmatched in Europe. They are magnesium and calcium slobomineralizirani , successfully treating cardiovascular diseases . In combination with climate impact becomes even stronger . Golden Sands resort is known as the ” Pearl of the Bulgarian Black Sea coast .” 3 . History Varna is the cradle of the oldest European civilization. In the city you can see the original artifacts of the oldest gold treasure in the world , dated between 4400 – 4200 BC . And this is just the beginning of your historical tour – there are many other treasures from later periods and cultures, Thracian, Greek , Roman, Byzantine, Bulgarian and others. Great interest among the visitors of the city are rich collections of museums in the city, more so fourth largest Roman baths of Europe are among these museums – II – III century AD . , When and flourishing Roman Odesos . 4 . Cultural life FESTIVAL Varna has a myriad of cultural events featuring folklore , music, ballet, opera and theater, film and animated presentations – photos, outdoor exhibitions and many art galleries. The city is also a candidate for the European Capital of Culture in 2019 . 5 . Wine and Cuisine Bulgaria is known for its wine grapes and good quality of the wine produced from them. Wineries increasingly offer tastings of their products presented in an interesting and memorable way . Organize festivals on various delicacies that are an interesting experience and touch strangers culinary traditions. In Bulgaria there are many traditional Bulgarian restaurants where you can enjoy the local cuisine. 6 . Hospitality of local people Bulgarians are very hospitable people . Will have the opportunity to be welcomed in the traditional way with delicious local food and wine. Most young Bulgarians speak English and other foreign languages. 7 . Architecture To the liberation of Bulgaria from Ottoman rule in 1878 Bulgaria is a typical oriental town with an area of ​​about 170 hectares and a population of about 20,000 people, mostly Turks, Gagauz , Greek and dr.Balgarite minority. This determines the slower penetration of European cultural influences , including and architecture. Character building ensemble of the modern city is the European influence , and that of Mediterranean countries. There are Byzantine , Arabic, Moorish , etc. Armenian architectural elements enriched with Egyptian whimsical and abstract ornaments. Public and large commercial buildings are authentic and bear the marks of a great building. 8 . Nightlife Varna has an impressive nightlife and many say that “the city never sleeps .” During the summer months it is almost impossible to find a closed bar or night club . Many bars and restaurants are located directly summer on the beach , near the Sea Garden. 9. Shopping Opportunities In Bulgaria you can find plenty of modern shopping centers , traditional outdoor markets and small shops . 10 . Good value ” Money ” Last but not least , we should note that the price you will pay in Varna are beneficial in terms of quality of services . May 13.2014 May 13.2 A growth of tourist bookings on the western market for summer 2014 , announced in Varna , Deputy Minister of Economy, Energy and Tourism Branimir Botev , who participated in a meeting with representatives of the travel agency , hotel and restaurant business in the forthcoming season. Botev said as quoted by “Focus” that all tour operators who work in western and northern markets , reported growth of bookings for Bulgaria . “There was a gloomy forecasts for many low winter season – a 20-30 % decline , but at that time the statistics reported an increase of 4%. For the summer season there is an increase in bookings by British , Scandinavian and Central European markets , “he added . The meeting was attended by Deputy Prime Daniela Bobeva . She urged the tourism industry to consider how to more effectively promote the Bulgarian Black Sea coast to attract native and foreign tourists. Bobeva also said that presentations of Bulgarian Black Sea resorts will be sent to sales representatives in the countries from which we want to attract tourists to include you in the promotion of our tourism for the upcoming summer season. Bulgaria is the cheapest destination for British April 25, 2014 Bulgaria is the cheapest summer holiday destination for the British , and Sorrento in Italy is the most expensive , reports British newspaper ” Daily Telegraph ” quoted by BGNES . The cost of summer holidays in the country hit by the recession have decreased by over 20% a year , a study of the British post office. Brits looking for cheap vacations are advised to focus on Bulgaria . Prices fell in two -thirds of European resorts, and the strong pound means that Britons will spend even less money. In Sunny Beach package of ten things that usually spend money as dinners and drinks cost only 43 pounds , the study found . In Italian tourist resorts you will have to pay more than double for the same package – respectively 101 pounds and 102 pounds in Tuscany and Sorrento . This makes them the most expensive destinations for the British for the second consecutive year. Islanders spend on average more than 500 pounds in the resorts found more study. Prices have continued to fall on an annual basis in countries that are seeking to recover from the recession. The largest decline was registered in Paphos , Cyprus, where prices fell by 21% in the last 12 months should Menorca in the Balearic Islands. Since 2009 , when the economic crisis started , prices have fallen by nearly 40% in Costa del Sol , Spain, and 35% in the Algarve in Portugal and the Costa Blanca in Spain. Marmaris in Turkey is the second most expensive destination with holiday package for 54 pounds. April 14, 2014 Bulgaria , along with Hungary, Romania and Norway are the only countries in the EU where not found any malpractices of the sites for the purchase of travel services , the European Commission said Thursday . April 3 , this year, have been inspected 17 sites , none has acted contrary to European rules. Most violations were detected in Finland, where none of the sites checked had not been wrong in Latvia only 8% percent were sites without violations , and in the UK , France and Austria offenders are over 60% . Total EU inspection showed that 382 out of 552 tested in 2013, the site does not respect EU legislation on consumer protection. As a result of measures taken energetic measures against violations , 62 % of screened earlier this year sites now treat consumers properly adds the EC. The remaining 38 % of websites can expect further retaliatory measures , as European authorities continue to work to fully respect the rights of consumers , the statement said . The three main issues that have been identified are lack of the requisite information about the identity of traders and in particular for their e-mail addresses , depriving consumers of effective feedback ( site 162 or 30% of the tested pages did not contain this information ; lack of clear guidance on how to file a complaint (157 sites or 28 % of tested ) did not include this information , there is no possibility additional costs, such as baggage fee , insurance fee and boarding with priority to be explicitly selected ( such a problem was detected at 133 sites , 24%) . Furthermore, the final price of the service does not indicate in advance when the screen showing the main elements of the reservation (112 sites or 20% did not contain this information). Administrative and legal procedures at national level continue for 209 sites that are still irregular. EC verification was carried out in June 2013 and has covered sites offering air tickets , accommodation or both services. Hong Kong – the gateway to China ‘s exports March 19, 2014 , Darik radio Ministry of Economy plans to open a third sales office in Guangdong province in southern China, close to Hong Kong. We believe that this will contribute to more active business cooperation with mainland China and Hong Kong , said Deputy Minister of Economy and Energy Krasin Dimitrov , cited by Darik . Mainland China is the largest trading partner of Hong Kong under the Agreement on Closer Economic Partnership between the two countries , all products of Hong Kong, which meet the requirements of origin shall be imported free of duty in Mainland China. Hong Kong is also used by all the terms of the free trade agreements that China has signed with other countries. China ranks second after Turkey among our export destinations outside the EU due to the growth of Bulgarian exports. In 2013, trade between Bulgaria and China increased by 7.8% compared to last year and reached 1.875 billion dollars, and that between Bulgaria and Hong Kong last year amounted to 137.6 million dollars, of which Bulgarian exports to Hong Kong is 63.9 million dollars. Hong Kong is underestimated as a place to do business by Bulgarian companies , said Deputy Minister Dimitrov Krasin and noted that it is the freest economy in the world and competitive in Asia. The services sector forms over 90% of GDP. Among the advantages that Hong Kong offers business , Krasin Dimitrov pointed out that no VAT and corporation tax is 16.5% . Hong Kong airport is the busiest in the world for international cargo transportation . Hong Kong is among the heavily-used container ports in the world and the second largest stock market in Asia. Bulgarian citizens may reside in Hong Kong to 90 days ( within 6 months) without a visa , and the same applies to the citizens of Hong Kong for the territory of Bulgaria , which is an additional advantage for doing business between the two countries. Sofia is the cheapest city among 48 tourist destinations, according to a comparative study of websites for tips on travel and leisure TripAdvisor, cited by BTA. Bulgarian capital is followed by the capital of Vietnam, Hanoi, said Vietnamese electronic edition saigon-gpdaily. com.vn. ranking is made ​​according to the total cost of stay at the four-star hotel, dinner for two with a bottle of wine and fees in both directions for a distance of 3.2 km. in Sofia package worth 158.42 dollars, while in Hanoi – 176 $ 14. The most expensive town itself is Oslo, where the same services for tourists will have to pay 581.08 dollars. January 2 ,2014 Bulgaria is among the most attractive destinations to be visited in 2014 .Bulgaria is in eighth place in the top 10 best tourist destinations in the ranking of British tourist Publishing Rough Guides. It said the country will be hit this year because of the unique cultural heritage , magnificent beaches and abundance of mineral waters. As an extra mention and friendly people and low prices of the variety . British edition focuses on the opportunities for recreation in the country and the sights that should be included in the program of the visiting guests in Bulgaria. Required attractions include Rila Monastery , Old Plovdiv, Koprivshtitza , Vitosha and the cathedral “Alexander Nevski” . British tourists not to miss to immerse themselves in the atmosphere of our beach bars and try natural original yogurt, advised journalists. According to the magazine , Bulgaria offers natural beauty and coupon as Croatia , but at the less expense and still not crowded with tourists. Top places in the ranking of the hit destinations for 2014 are occupied by Ethiopia , Madagascar , Brazil, Turkey, Georgia , Rwanda and Japan. Bulgaria is followed by neighboring Macedonia and the Philippines. November 23 2013 BTA The winter season in Pamporovo opens on 7 December with a lavish ceremony , announced the ” Pamporovo ” AD. On the first day the ski lifts in the resort season will ride for free. Rhodope resort expects its strongest winter season in a decade . Prerecorded tour operators show an increase both in the Balkan markets and increase traditional Pamporovo British tourists . On days 8 to December 20 will be introduced promotional prices of lift passes . Prices of lift services for season 2013-2014 will be announced by ” Pamporovo ” AD at the end of November. The award was presented by legendary Austrian skier Valhofer, Michael and Stephan Eberharter to Maya Hristoskova , CEO of ” Julen ” JSC. Academy of World Ski prizes awarded Bansko with the prize for the best winter resort in Bulgaria . The award was presented by legendary Austrian skier MichaelValhofer and Stephan Eberharter to Maya Hristoskova , CEO of ” Julen ” SA , concessionaire of the Bansko ski zone and Ivan Obreikov , marketing director of the company. This happened during a lavish ceremony in the Mecca of skiing Kitzbühel, which was attended by more than 200 top executives from leading ski resorts and hotels. Over 1 million people around the world voted in the poll organized by the Academy. Bulgaria has also received worldwide recognition as falling within the top 20 countries worldwide with the best winter tourism. Over the years, Bansko turned № 1 in Eastern Europe. Bansko organized in a perfect way to start eight World Cup , and in 2011 was elected to the winter capital of the Balkans . ” City Arena Bansko Kempinski ” hotel was recognized as a leading ski hotel in the country in Kitzbuehel got Award received by the General Manager of the hotel Athanasios Manos . The hotel had hosted traditionally the most famous skiers from around the world , including Alberto Tomba and Marc Ghirardelli . Independent : Bulgaria displace India call centers November 15, 2013 Titled ” Forget India … call centers have moved to Bulgaria ” London newspaper ” The Independent ” concludes that British companies to move operations closer to the UK . British company Thomas Cook, eBay, Sky, Seatwave and Zumba Fitness have outsourced certain aspects of its consumer services in Bulgaria , the newspaper said on Monday. According to the publication, this trend suggests that India may quietly lose eventually crown of world capital of call centers . Company of British businessman Jonathan Gladwish is one of several dealing with outsourcing, which attract companies in Sofia. According to him in 2008 when he settled in Sofia, Bulgaria was undeveloped territory and virtually no outsourcing services to companies . ” Everything has changed . During this period, I realized how well educated young people here – about 93 percent of my staff are graduates or building higher education who want to work for me two, three or even four years before moving ahead “. It saves 30-40 percent by moving its business in Eastern Europe. Gladwish compares the situation in Bulgaria with the situation in Britain, where the work in a call center is often viewed as a “temporary measure” for graduates . Golden Sands sold 2,66 million overnight stays during 2013 season. 3% increase in overnight stays was recorded in Varna and the neighboring resorts in the last season , said Sonya Angelova , head of the Directorate of Tourism in the municipal administration . Nights spent in the municipality are nearly 3,360,000 . Of these, 2.66 million are in “Golden Sands” and nearly 792,000 – in the resort “St. St. Constantine and Elena “. ” As the largest resort near Varna has 7 % increase in overnight stays , while ” Konstantin and Elena ” was recorded 2% reduction ,” Angelova said during a meeting of the Open Society Tourist Board , Darik . Tourism chief noted that revenue from tourist tax in the municipality at the end of October amounted to 3.64 million lev , which she described as a good amount of local coffers . Traditionally, most guests were from Russia and Germany. From Varna Airport reported that during their terminal this year have gone over 375,000 Russians, or 13 % compared with 2012 They are followed by German tourists – more than 295 000 , but they have a 4% decline . The third position is held by Bulgarians – more than 113,000 , according to statistics of the airport . The total number of passengers served at Varna airport at the beginning of the year is nearly 1.26 million passengers. Despite the growth of tourists from the Regional Police Directorate reported a drop in crime . For the months of June, July and August in Varna and the region are more than 2,200 offenses or 12.5% ​​less than the same period last year. There were 78 foreigners victims of some sort of criminal activity , while in 2012 the number was 136 . Difference this year is that there were complaints from guests for expensive taxis and drinks at bars and nightclubs with added drugs. At the same time the Regional Directorate for Food Safety and Regional Health Inspectorate announced that there are fewer violations compared to previous years. Of the 1,100 inspections in fast food restaurants , shops , hotels and restaurants of the Food have compiled only 6 act. Health inspectors did have posted in 4 acts made ​​over 2,360 inspections. In terms of bathing in the pools and the sea also, the situation is better than last year. During the high season there were no samples that did not meet the requirements . Deviation was only the officers beach . In the field of tourism vacancies at labor offices were 1,500 for the period from March to August . Most wanted again were administrators , kitchen staff, rescuers , animators , announced by the Regional Employment Service. The main requirements to the applicants were to have experience and be proficient in a foreign language. Record breaking revenue accounts tourism in Bulgaria. It is expected to be announced that the entire industry in 2013 has brought more than 3 billion euros , said Rumen Draganov, Director of the Institute for Analysis and Assessment of Tourism to “24 Hours” . Last year’s revenues were about 2.9 billion euros. Nights only revenue for this year is about 900 million lev – 600 million lev of them are due to foreigners. Bulgaria has a record number of visitors from abroad – 9 million people by the end of 2013. Huge growth is from Russia and Ukraine serious of Israel stabilized market in the Netherlands , Germany and even grow , which it was feared that will downturn. Increases of the trips for Bulgarians to our resorts because of the new highway . It extends the short breaks over the weekend to the sea in September and October . BTA Plovdiv . Iconic hotel ” Trimontsium Princess” will now be managed by Americans. U.S. company Wyndham Hotels, which is one of the largest in the world for the management of hotels and resort properties finalize 5-year franchise agreement with ” Trimontsium .” He will work under the brand Ramada, aimed mainly at city hotels of a higher class. For now, nothing will change in the policy of the hotel. Casino remains out of the deal and under the direct supervision of Sudi Ozkan that privatized hotel in 1998 In 2008, management was granted for 10 years, another Turkish company – ” Dedeman ” but last year Ozkan end his contract with the argument that nothing the promised investment never happened . American group manages more than 7,000 hotels in 66 countries under 15 brands. The most famous of which are Ramada, Days Inn, Planet Hollywood, Wyndham Grand, Wyndham Garden Hotels. ” Trimontsium ” is their first project in Bulgaria . It is not yet clear whether the metropolitan hotel ” Princess” will also become part of the global chain. 3.5 million tourists visited Bulgaria in the summer season , registering growth over last year with 5.4% in June, July and August. That was said in Pamporovo during the International Tourism Fair ” Mountains of Bulgaria – hospitality in four seasons” by Anelia Genova from the Ministry of Economy, Energy and Tourism .The largest growth in number comes of tourists from Russia market , there are nearly half a million tourists during the summer season with a 12.3% growth .The next market is Germany , where there are 451,000 tourists. Their growth is 7.7% , taking into account the very significant increase in this market since last year,where their growth was around 1-2%.While Ukraine also has a very strong growth of 13.5 % or 207,000 tourists visited Bulgaria in the summer. Top destinations from which to tourists for the summer season are 00 UK with 141 tourists , followed by Belarus, which has 60% market growth and 113,000 tourists from Turkey – 110 000 tourists a 209.8% increase .By number of tourists who visited Bulgaria in the summer following countries Czech Republic , Macedonia, Serbia , France, Netherlands , Austria, Hungary.Retain the position of the key target markets such as Russia, Britain and Germany in the summer . Poland, Ukraine and the Balkan countries are also the top ten . Expectations are very high for winter season , assuming that there will be many good entries from Russia and Ukraine , as well as traditional markets – the UK and the Balkan countries. Resorts and tourist areas in Bulgaria, Hungary , Germany, Greece and Turkey will be presented at the 10th anniversary edition of the International Tourism Fair ” Mountains of Bulgaria – hospitality in four seasons” from 10 to 13 October in Pamporovo , announced the ” Pamporovo ” SA . For the second consecutive year the ski resort hosts the annual exhibition organized by Regional Tourist Association ” Rodopi ” municipalities of Smolyan and Chepelare and ” Pamporovo ” JSC. Traditional exhibition gathers on the eve of the winter tourist season, hoteliers , tour operators , local and executive. Travel Forum program includes a presentation of resorts and ski destinations in Bulgaria and the region. On October 11, will be held a round table on ” new legislation in support of Bulgarian tourism.” The forum will discuss the issue of the visa regime for countries outside the EU, explained the ” Pamporovo ” AD said on Monday. Emphasis in the program of the exhibition is the 80th anniversary of the resort . Expected at the ” Mountains of Bulgaria , hospitality in four seasons” to disclose forecasts for ski season in winter resorts. Luxury vintage train will be touring Bulgaria October 4, 2013 Train journey began on October 3 in Germany and continues six days in Bulgaria October, 6 will arrive in Bulgaria luxurious amusement train ” Balkan Express 2013 .” The train will travel about 200 tourists from around the world , fans of the attraction travel steam locomotives inform Railways . Attraction composition consists of four passenger retrovagona and two dining car manufactured in the 60s of the 20th century in Germany. Train journey begins on October 3, from Germany, was briefly Austria, Hungary and Serbia continues with a six-day tour of the sights of Bulgaria . The territory of our country train ” Balkan Express 2013 ” will run on the route Sofia – Lakatnik – Red Beach, Upper Oriahovica – Stara Zagora – Plovdiv and Plovdiv – Karlovo – Sofia. The routing of tourists includes a two-day trip on the only light rail in Bulgaria between September and Dobrinishte steam locomotive and retrovagoni . Entertainment tour will be filmed by a team of German TV SWR, which will accompany the train ” Balkan Express 2013 ” and will air in successive editions of the specialized program ” Railway romance .” Attraction trips are made at the request of customers who are mainly English , American, German and Austrian tourists. October 2, 2013 The Rhodopies Mountain is white with snow, said the mountain rescue service on Monday. At the top of mountain is formed 1 cm snow including the higher parts of the resort. First of autumn and winter snowfall is observed near Rozhen according to the weather station “Rozhen”, learned BTA. Snow had gone now, Rozhen meadows are just frosted. In Rozhen this morning was measured snow temperature -2.4 degrees. October 1, 2013 Wild boar attacked Sylvester Stallone, who is playing for the filming of the action thriller “The Expendables 3”. Sly looking around Simitly side location where the team will shoot these days. He identified locations along the Struma River with stunt people who are going to duplicate the most dangerous water scenes where out of the woods a couple of wild pigs suddenly jumped out . Everyone, including Stallone, fled in panic and hid in caravans. No one was injured in the incident – neither men nor equipment, reports BTA. To avoid such incidents, the organizers of the pictures are seeking help from the local rangers. They promised to Sly that would do everything in their power to keep wild pigs away from the site of filming for the next few days. BTA September 27 ,2013 Sofia. Of all foreigners visited Bulgaria in August 2013, the largest share of citizens of the European Union – 61.7% . Compared with the same month last year , the number increased by 0.3% . This data from the National Statistics Institute. Increase was registered in the number of nationals of Denmark – 6.1% , Greece – 4.3% , Finland – 3.1% , Germany – 2.8 %, and others . However, it is reported a decline in visits of citizens of Slovakia – by 10.0% , the Netherlands – 8.3 % Czech Republic – 4.7% , Hungary – 4.5% , and others. Increase and arrivals of visitors from the ” Other European countries” – by 10.6 %, with the greatest increase of visits by citizens of Russia and Ukraine – by 15.5 and 13.3% . In August 2013 dominated by visits for holidays and recreation – 63.6% , followed by those with other purposes (including visits and transit ) – 31.2% , and for professional reasons – 5.2% . Visits holiday, forming 89.4% of visits by citizens of Denmark, 88.9% – in the Czech Republic, 88.8% – from Russia, 84.6% – from the UK, 82.6% – in the former Yugoslav Republic of Macedonia, 80.5% – from Poland and 80.2% – from Ukraine. Business travel is 20.5% of all visits to the citizens of Italy , while other targets are 80.4% of visits by citizens of Turkey. Paris. September 25 ,2013 France to help Bulgaria with the experience and know-how for the development of long-term strategy for tourism development in the country, as well as the construction and management of winter resorts. This agreed Deputy Minister of Economy, Energy and Tourism of Bulgaria and Minister of Tourism, Trade and Craft of France. The French minister visited Bulgarian stand at the international tourism exhibition Top Resa in Paris and received as a gift a traditional native pottery, silk scarf and an invitation to visit Bulgaria. Discussed is the idea of ​​a Bulgarian-French school, which prepares students for the industry. Nearly 70,000 Frenchmen visited the country during the first half of the year, is expected to further increase due to their interest in the winter season, and in particular Bansko. French groups of tourists already circling native wonders and shrines . 10 -day tours on our cultural attractions include routes across the country and a short two-day vacation. Guests are delighted with the story and your kitchen , the tour operator said. September ,24 2013 French remained forever captivated by the ancient atmosphere of the city of Plovdiv , the city as it is world class . They are delighted with the cleanliness of Sofia . During his stay French groups have visited also Rila Monastery , Nessebar, Arbanasi , Veliko Tarnovo, Kazanlak, museums , Varna, Stone Forest , Madara, Gabrovo and village of Sabotkovtsi . Your food is wonderful , we tried new things everywhere and nowhere dishes were repeated , said the tour operator . Most impressed , however, the French left the hospitality of small guest houses, which had a chance to not only lunch but also to learn about native traditions. When for example in Gabrovo we were greeted with freshly baked bread, had a chance to ride a horse and shoot a bow . Other hosts do show them the secrets to making Bulgarian pastry and yogurt. The only problem with you is very prompt service , explained the French . For us it is important that the pleasure of food , and therefore not in pursuit of first-class service to put the dishes one after another. There should be at least 30-40 minutes for each grade from the menu. Among our faults pointed out and the lack of bottles of wine from one harvest and manufacturer in hotels and restaurants . However, the quality of the wine and beverages were good stated clearly French tourists. According the travel agent Bulgaria loses of the lack of massive advertising in this market. Now was the moment when Bulgaria had to enter on a big horse in tourism fair in Paris in September. Instead, once again Bulgaria participate with a small stand and only 6 firms. And while all of France is looking for new and interesting destinations such as Bulgaria , to which to redirect the flow of unsafe tourist countries the lack of money or political environment may have caused the failure of this golden chance , says Kchuk -the travel agent for the French tourist. Bulgaria will attempt to extend the summer season through additional financing project of packages outside the active months of rest . A similar program operates in Spain for years , but there the state subsidizes the tourism industry . Only last year this program on holiday in Spain have gone 2500 Bulgarian pensioners . The Spanish government subsidizes some countries with 130 euros, Bulgarians are subsidized with € 90 and yet so many people go there , which is unfortunate . The greatest virtue of this program is that it is aimed at increasing the national income in Bulgaria, learned BTA. Exchange of tourists will be bilateral – Bulgarians will rest in the partner countries of the project , and from there tourists will come to the native coast off-season . Max 2100 gone and come , of which 1300-1400 will be tourists come here , and the rest will be Bulgarians traveled to these destinations. For hoteliers in the sea resorts this program is to overcome the crisis. When all the hotels have staff who are seasonally employed and able to commit to one or two months more, it is a great asset for Bulgarian tourism and social policy in Bulgaria. Proposal for a new tourist service came from the Romanian ambassador . It will initiate the establishment of a joint offer to tourists in Bulgaria and Romania. This service , however, will be aimed primarily at tourists outside the all-inclusive segment normally not interested in tours. September’s cuts will take effect in the middle of next week, but the room rates per person are now 20% cheaper compared to the end of July and beginning of August.In the last part of the seaside tourist season accommodation will be 60% cheaper, and hoteliers already offer attractive packages for adults and children. Currently double room with excellent sea view in the resort towns south of Burgas can be rented at a cost of 24 lev ( around eighteen dollars)Hoteliers are advised to make a reservation because the season is strong and almost all beds occupied.In Sunny Beach hotels are full and the warm sea and the beach attracts lovers of the sea baths. This autumn, our biggest seaside resort-Sunny beach has been hosting mainly tourists aged over 55 from Germany, Britain, and Russia.According to preliminary bookings until middle of October there will take a vacation near 250,000 foreign guests. Sofia Statistics show that in 2012, Sofia has welcomed 832,453 guests, including 488,086 foreigners . Compared with the previous year , an increase of 11% in the number of tourists according to the mayor of Sofia Yordanka Fandakova This trend continued in the first half of 2013 – Sofia is visited by over 440,000 tourists. Overall trends in the last few years talking about smooth , but steady growth in the number of tourists BTA learned. Sofia is the most popular destination for tourists from Greece, Germany , Britain, Italy and Turkey. The TOP 10 places to visit includes the basilica “St. Sofia ” hram.pametnika ” Sv.Aleksanzar Nevsky ” Boyana church rotunda “St. George” , the National Institute of Archaeology , National Theatre ” Ivan Vazov ” National Assembly Square and others. For their full representation for each object is attached to a three-dimensional walk. Through it, one can consider the object outside, go inside , get down stairs , open doors, etc. – On the Sofia new site are presented and routes that will help tourists to explore Sofia on one breath , to join the pilgrimage or tour the unique temples and monasteries in Sofia Svetogorie . – The organizers of business and congress events will find information about the opportunities the city to host major events and events of international significance. – In this initial version of the travel Web site information is given in Bulgarian and English . – A computerized catalog are shown advertising informational materials in different language versions , with the ability to view and download . – The site contains useful information for tourists : visa , banks , gas stations, parking rules , important phone and more. – Display is available with information about objects that enable access and movement of people with disabilities. Largest growth of Finnish tourists this Summer. This summer, the highest growth compared to 2012 marked the visit of tourists from Finland – 21% , told “Focus” in Burgas Ivan Ivanov , Chairman of the Burgas Regional Chamber of Tourism . According to the calculations of the chamber there is an increase of chartered bus groups of tourists from the Czech Republic , Ukraine, Moldova , Slovakia, Poland 6.6 %, while charter flights grew by about 5 % compared to August 2012 Another growth compared to last August ‘s Swiss tourists. Ivanov noted that Polish tourists catching gap in June and July compared to the same months of 2012 and grew by 4.5% . Double has increased the number of Korean tourists to July and August 2012 ” It is also positive that the recovery position in Scandinavia . This market was down in the past few summers. Interestingly, tourists from Norway over 11.3% , in the case of tourists from Sweden growth was about 7%. Southern coast recover positions as the preferred destination of the British market , “said Ivanov. Gap in June and July compared to the same months of 2012, the August British tour operators have met and grew by 8%. There are more tourists this summer from Kuwait , Ukraine , Belarus, Luxembourg , Estonia, Belgium, Austria , and Russia. From Belarus , Ukraine and Moldova to the 2013 season a week for Burgas Black Sea coast were traveling between 40 and 50 buses. Several market declines during the summer. Saving the negative trend in Germany – August visits were reduced by 12% and in July 17%. Tourists from the Czech Republic , visited the South Coast are also less in August by 26 % and leading countries in international tourism such as France and Italy, the decline is much more. Ivanov also said that they can not catch up the gap between the Hungarian tour operators , those from the Netherlands , Ireland, which in recent years have growth. Russian Tourists in Bulgaria-Bulgarian resorts in 8th place for Russians The tourist flow to the country this year, has increased with 35 per cent learned BTA. Bulgaria reserves the 8th place in the ranking of the most popular tourist destinations for Russians in the summer of 2013, reported the press office of the Ministry of Foreign Affairs. They cite evidence of the marketing system Turmarket.info leading monitoring the Russian tourist market. The tourist flow to the country this year, has scored 35 per cent increase, reports the Russian statistical agency Rosstat. Most Wanted was a holiday for children in camps and even demand in this area is greater than the supply. In April places in many popular children’s camps in Bulgaria have been sold. First on the list, and last year, holds Turkey, followed by Greece, Spain, Egypt, Cyprus, Thailand, Tunisia. After Bulgaria ranks Italy and Montenegro. Croatia, which last year was on the 10th place this year occupies 14th place due to the introduction of a visa regime with Russia because of its accession to the EU. Where and what export Bulgaria? Bulgaria is 65 in the world on exports, which is a rise of 4 places from 2011. The economy there is 2 or 3 presenters and back-bone sectors and could not be expected to be an export leader in the entire sector. Bulgaria is a leader in export of niche products. Such should be and further specialization – product, rather than sectorial, stated in the analysis of the Bulgarian Industrial Association. As in previous years, the leading export groups of Bulgarian goods were fuels and cooper, followed by electrical and electronic products and machinery. The export growth in fuel and copper has outpaced the growth of world exports, but with both groups of goods a great role plays the price increase. Exports of electronics and electrical engineering in the last 5 years (2008-2012) marks an average annual growth rate of 12%, while the imports grew by 6% over the same period, IE the country winning market share, despite the decline in 2012. When the machines: for five years the average growth rate is 6% average annual growth in world imports 5 percent, also with a retreat in 2012. The following groups of products are wheat, clothing, knitwear, iron and steel and pharmaceuticals. Very strong growth in white – an average of 17% for 5 years in the growth of global imports rom 5%, and in the pharmacy – 23% respectively against 4%. Behind the clothing and iron and steel – in both groups are recorded not only a decline in 5 years, but the loss of market share. In recent years, traditionally well presents the export of oil seeds – an average of 18% growth of our export in 9% growth in world imports; There is a substantial drop from 32 percent last year. Impression makes the exports of cars (parts) and bicycles – a growth of 32% on average for five years, despite last year’s decline of 14%. In the last 5 years for all goods, with exports of more than 250 million. dollars, with the exception of electricity and wiring sets for automobiles, outstripped growth in value growth in quantity. This means that a part of the growth of exports is due to the elevated prices, not more produced and exported production. Bulgaria is the 12th place in the world in the export of wheat. Very well presented the exports of medicines, which climbed to sixth position and registrar success in global competition. Leading markets for exports of medium and heavy petroleum derivatives are Gibraltar with over 43% and Turkey – 24%. We’re the sixth supplier for Gibraltar with a very fast growing market share mainly at the expense of the United States. Tightly after us is Greece. Light petroleum derivatives export the most for Georgia Turkey 16%, 13%, Greece and the United Arab Emirates – 9%. In Turkey we are second after Russia with a fast-growing market share. Cathode cooper goes to China 34%, 27% and Italy Turkey 21%. China is the largest importer of the product with 43% of world imports. The exportation of medications marks a 22% average annual growth for 2008-2012 in the world imports growth 3%. Leading markets continue to be Russia Germany 28% and 12%. Sales growth in Germany for 2008-2012 in value is 162% in quantity of 233%, in this period the German imports grow in value by 9% per year. Electricity exports continues to be important for the Bulgarian economy. For the period 2008-2012. the average growth rate is 3% as the global imports. The export of electricity is mainly to Greece, Turkey, Macedonia, Serbia, Romania. Apparently there’s a caveat to the “no soldier gets left behind” motto — that is, unless they demand too much money for four days’ work. “Expendables 3” begins without Bruce Willis. Sometimes soldiers do get left behind, especially when they are really expensive. Expendables 3 began principal photography today in Bulgaria without Bruce Willis, who had starred in the first two installments of the action series that grossed nearly $600 million in worldwide box office. 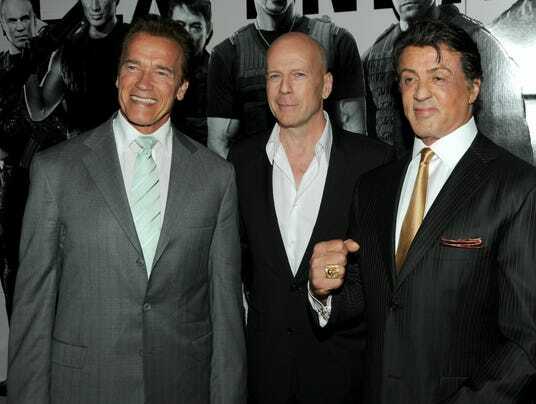 The films had brought new movie life to action stars like Sylvester Stallone, Dolph Lundgren and Arnold Schwarzenegger. But after a disagreement with Stallone, Willis will not be joining his comrades-in-arms. TheHollywood Reporter had stated t hat Willis was demanding $4 million for four days of work. “Greedy and lazy … a sure formula for career failure,” Stallone tweeted after announcing that Willis would not return earlier this month. Plenty of other actors have stepped forward, including Wesley Snipes, Antonio Banderas, Mel Gibson and Harrison Ford. Stallone, Lundgren, Schwarzenegger, Jason Statham, Jet Li and Randy Couture will all return for the third installment, as well. Gibson will will play Conrad Stonebanks, a ruthless arms dealer who forces Stallone to “bring in a new era of Expendables team members who are … younger, faster and more tech-savvy,” according to a Lionsgate Films release. Speaking for the younger generation, Twilight‘s Kellen Lutz has also joined the cast along with MMA star Ronda Rousey and welterweight boxing champ Victor Ortiz. Patrick Hughes will direct the film. Rumen Draganov, Chairperson of the Institute for Tourism Analyses and Evaluation, in an interview for Radio Focus Host: Could we say that Bulgaria is having a good summer season this year? This is our question to Rumen Draganov, Chairperson of the Institute for Tourism Analyses and Evaluation. Rumen Draganov: As a whole, the summer season has been very successful, so far, and we hope that this trend will continue by the end of the season, which will be around the second week of October.Host: So you say that the summer season runs until October? Rumen Draganov: Yes, basically that is the time when the last English and Scottish tourists leave Bulgaria.Host: Have you made any analyses, already, which can allow us to compare this season to last year? Rumen Draganov: Yes. We make analyses each month and compare the data to the data from the previous year and to previous periods. Currently we have around 4.5% growth of tourists compared to last year. This comes as no surprise, because all contracts that were signed last year were hinting at such results. The tourism exchanges, which were held last autumn and this spring, confirmed our expectations for a surge of tourists from certain countries, retaining the number of tourists from other countries, and a downturn from third countries. Generally, we can expect a stable growth of the number of tourists by the end of the season of around 4.5%.Host: When we talk about foreign tourists, do they recognise Bulgaria as a tourist destination for summer holidays? Rumen Draganov: Yes, very much so. We have certain destinations, which report nearly 38% of foreign tourists that return for a second consecutive year. Last year the growth of Slovakian tourists was very high, as some places reported doubling and even trebling of the number of Slovakian tourists. Generally, Bulgaria is a very well-placed destination on the European tourism map. We have tourists, who come to Bulgaria for several consecutive years, especially from the main markets – Germany, UK, and the Scandinavian countries. They know very well what they will receive here and what they should expect, and their expectations are met. The situation with the Russian market is similar, where we not only have a traditional annual flow of tourists, but also, as you may know, more than 33,000 homes were bought by Russian citizens in Bulgaria, and the people come to their summer homes each year, and also give their homes to their friends and family, relatives, and co-workers. This leads to an extension of the season in Bulgaria when it comes to Russian tourists, even outside of the summer season.Host: What about Bulgarian tourists. We have been witnessing a trend over the past few years – many Bulgarians prefer to go to Greece for their holidays. What do you think is the reason behind this trend. Rumen Draganov: Yes, we could say that there is a certain number of Bulgarians choose Greece for their summer holiday, and one of the reasons is that many people live very close to Greece. We witness this trend in the regions that are very close to the Greek border, as people can start their car and in 15 minutes they could be drinking coffee in a Greek seaside resort. Greece, as we know, is an excellent tourist destination. What we see, however, is that many of the people, who go to Greece on a holiday, have already spent a part of their holiday in Bulgaria, or plan to spend some part on the their holiday in Greece, after being at the Bulgarian seaside. One must bear in mind that the holidays taken by Bulgarians in Greece are usually not very long. We have many one-day, weekend, or long-weekend trips, as the average stay of Bulgarian tourists in Greece is 2.8 days. Nevertheless, Greece is an extremely popular destination, because of the good services that are offered there. Some people even say that they go to Greece for their holidays, because it is cleaner there, compared to Bulgaria. Greece has a lot more beaches than Bulgaria and people can find solitary places, where they could enjoy their rest peacefully. The level of service in the Greek restaurants is also very good. Bulgarian tourists usually become friends with the owners of restaurants, because most restaurants in Greece are family-owned and they pay special attention to tourists, in order to make them happy to come back again. The situation in certain restaurants in Bulgaria is not necessarily the same, as certain owners showcase their wealth and act as if they do not need their Bulgarian customers that are currently in their restaurants. These are some of the things that Bulgarians, who choose Greece before Bulgaria for their summer holiday, state.Host: What about this flow of Bulgarians to Greece, does it mess up the plans of the Bulgarian tourist branch in any way? Rumen Draganov: Absolutely not. That is mainly because Bulgaria, especially for the summer season, is oriented towards the sale of packages via tour operators. More than 32,000 tour agencies from Europe sell holiday packages for Bulgaria and in the peak of the season – July and August, we have a very high bookings rate. This is another problem for Bulgarian tourists, who are not sure whether they can find lodgings when they arrive at the Bulgarian seaside in the peak of the season, while in Greece this is not a problem. Here I could mention that we also do not have sufficient information and knowledge on the part of Bulgarian tourists about the available bookings in the peak of the season. This also has to do with the lack of good advertising of our resorts in Bulgaria, because for example after August 10 we witness the so-called August hole at our seaside. Currently, tourists can find lodging almost everywhere along the coastline, but this is not well advertised, and not a lot of people are aware of it, and they think that everything is fully booked. Bulgaria has a very vast accommodation base, which at the moment provides at least 20% free bed in hotels, and around 50% free beds in private lodgings. Furthermore, the prices are falling. This is the effect of the peak of the season, as between July 25 and August 5 the prices reach their peak, and subsequently after August 10 there is no point in having such high prices. Over the past few years certain hotel owners have realised this trend and started offering discounted packages after August 15. Most of the hotel owners, however, retain their high prices and expect tourists to come and pay these high prices, which does not happen. A good practice, which could be applied here, is to increase the price flexibility, provide good advertising of the discounts through online sales, and thus increase the bookings. The main problem in Bulgaria is not the tourist surge, but the low percentage of bookings, which is around 30-32% for the season, which means that the rest around 70% could be filled with a more flexible pricing policy. This is the area, which we must concentrate on. Apart from better advertising, we must also open different types of tourist attractions, like the cultural and natural sights, and most of all contemporary arts. You can see what effect a festival like the Fireworks Festival in Kavarna can have. The festival is held for only a few days, but it attracts extremely high number of tourists. This means that contemporary arts, in all its forms, can be used by each municipality or each tourist resort in order to attract more customers. from 25.06.2013 From June 21 to June 30 a reading room is at disposal of all passengers at Sofia Airport Terminal 2. The reading room is a joint project of the International festival for design and visual culture Sofia Design Week 2013 and Sofia City Library, organized in partnership with Sofia Airport. All passengers have free access to a variety of books of Bulgarian and foreign literature in a cozy space at the departure lounge on level +1. Up to now the reading room enjoys strong interest from dozens of Bulgarian and foreign travelers at the airport. from 25.04.2013 Sofia has been ranked the most affordable European travel destination by the Huffington Post’s European 3-Star Traveler Index. Topping Price of Travel’s European 3-Star Traveler Index for 2013—which compares the cost of a centrally located, well-reviewed three-star hotel, plus the cost of transportation, some activities, food and drink Sofia, earned the title of Europe’s cheapest tourist city, coming in at under USD 50 a day. Airfare to Sofia is somewhat expensive, and there aren’t a lot of good alternative options, though Sofia does have connecting service from other European cities on low-cost carriers such as easyJet and Wizz Air. Other cities that are featured in the ranking are Berlin (Germany), Riga (Latvia), Lisbon (Portugal), Kiev (Ukraine), Istanbul (Turkey), Budapest (Hungary), Prague (the Czech Republic), and Vilnius (Lithuania).In the Worlwide Holiday Costs Barometer published by postoffice.co.uk Bulgaria was ranked sixth as one of the cheapest destinations in the world. Spain and Sri Lanka share the top spot for value of 42 destinations surveyed. Czech Republic, Bali and Vietnam have taken third, fourth and fifth places in the Worldwide Barometer. PLOVDIV, Bulgaria, May 28 (Xinhua) — The largest Bulgarian-Chinese forum for investment and tourism ever, which was held in Bulgaria’s second biggest city Plovdiv Tuesday under the patronage of Bulgarian President Rosen Plevneliev, stimulated bilateral business relations. Some 150 Chinese companies and over 250 of their potential partners from Bulgaria participated in the forum titled “Discover and Invest in Bulgaria”, organized by the Bulgarian Travel and Investment Development Centre in China (BTIDCC), together with the Ministry of Economy, Energy and Tourism, the Ministry of Foreign Affairs, the Invest Bulgaria Agency, Plovdiv Municipality and the Bulgarian-Chinese Business Development Association. “Forum today launches a new development of the relations between Bulgaria and China and building a bridge of friendship and mutually beneficial business partnerships,” Ivan Todorov, Chairman of BTIDCC said at the opening ceremony. Violeta Lorer, Deputy Minister of Economy, Energy and Tourism said that with this event Bulgaria wanted to demonstrate its desire for more dynamic dialogue, and express will and support for more intensive and massive development of bilateral economic and trade relations and expansion of Chinese investment in Bulgaria. China was a leading traditional partner for Bulgaria, she said, adding that, in 2012, bilateral trade reached the highest level in the last 12 years, surpassing 1.7 billion U.S. dollars. During the period 1996-2012, the Chinese investment in Bulgaria reached 85 million euros (about 109 million U.S. dollars), with 67 million euros invested during the last two years, Lorer said. According to Evgeni Angelov, Economic Adviser to the President of Bulgaria, China’s ambition to develop its companies through investments in promising markets, combined with strong indicators and positive outlook on Bulgaria, made the two countries suitable strategic partners. Chinese Ambassador to Bulgaria Guo Yezhou said China was ready to share development opportunities. “Whether you are facing the Asian financial crisis or the European debt crisis, we are ready to turn crises into opportunities by deepening mutually beneficial joint cooperation,” Guo said. Just before the beginning of hundreds of bilateral meetings on Tuesday afternoon, representatives of the two parties told Xinhua about a number of ideas for specific projects. Todorov said that in process of discussing was the possibility of opening a direct airline between the Chinese city of Wenzhou and Bulgarian capital Sofia. Setting up a center for Chinese goods, and a textile center in Bulgaria were also under discussion, Todorov said. “When there are pilot projects supported by the two countries, then more private companies will gain confidence, conviction and a desire to develop relationships,” Todorov said. Plamen Panchev, Board Chairman of Sienit Holding said that his company had 20 years of experience in the creation of industrial zones, and has already established business relationship with leading Chinese companies, including Huawei. Krastio Belev, a representative of the Bulgarian Consulate in Shanghai, added two other potential projects. He said that a clothing company in Zhejiang province has decided that for the European market was purely logistical more reasonable to base its production in Bulgaria. Xu Lianbao, President of Shanghai Bainaing Apiculture Co., Ltd. told Xinhua it was his fourth time to visit Bulgaria. He said its products were very popular in Bulgaria because it has already presented them in the Balkan country. He was hoping to have some pragmatic collaboration there, he said. Dong Tao, Vice-president of Shanghai Foreign Investment Development Board, said 32 Shanghai companies from sectors of machinery, textile industry, tourism, and investment participated in this event. Chinese textile companies had huge interest to collaborate with Bulgarian partners, Dong added.